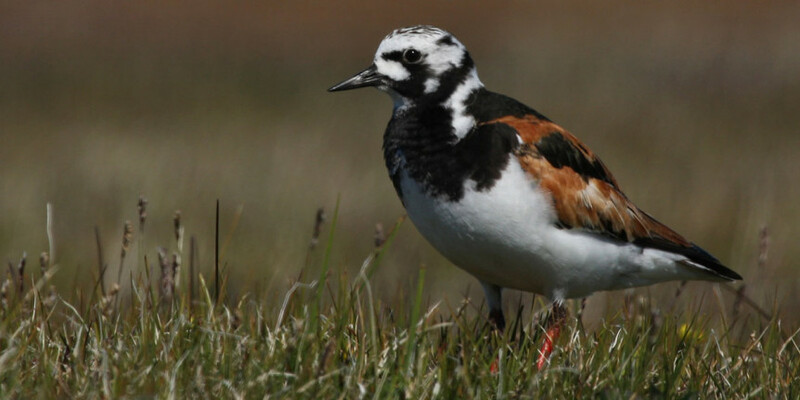 Ruddy Turnstones are one of the loudest shorebirds breeding in the Arctic. As the name implies, turnstone use their slightly up-turned bill to flip over pebbles, seaweed, or shells in search of invertebrate prey along the coast. Ruddy Turnstones seem to adapt to human development and can be found in many natural and human-made habitats in the winter in the U.S. and throughout the Caribbean. Despite their flexibility, Ruddy Turnstones rely on Delaware Bay as a critical spring stopover, and AFSI partners need to ensure an adequate food supply.